Every child should have a Mr. Daniels in their life. I hope I can be that for my students. They should also get to have friends like Albert and Keisha. 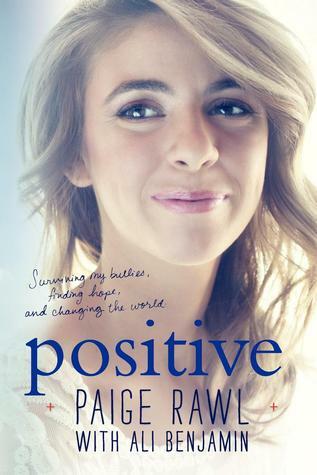 A beautiful, heartfelt story about overcoming learning differences and embracing the myriad ways someone can be intelligent. An enjoyable sequel to Giants Beware but I missed the sense and feel for character development that came in the first book that wasn't present in Dragons Beware. This volume spent more time on action sequences and less time on characterization and as someone who prefers character-driven stories, I definitely felt like there was something missing. Especially since the first book balanced the two so well. 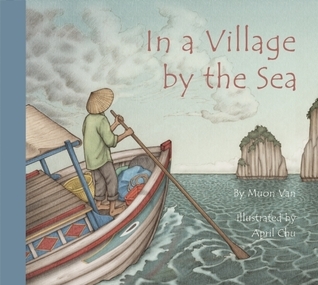 Beautiful, heartfelt circle story with illustrations that make the reader feel like both an observer and participant in the story. How can you not love a kid whose favorite book is Night-Night, Narwhal and carries around a stuffed narwhal like a teddy bear? One of my favorite thing about Mo Willems' books is that it has now become my mission to seek out characters from his other books in the one I am reading. 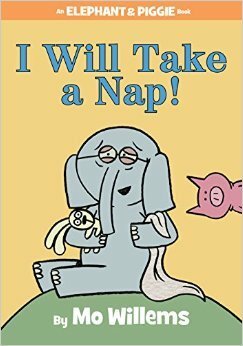 Normally he finds a way to hide the Pigeon somewhere in his books (the Pigeon tends to hide in the end papers of Elephant and Piggie books, but you can find him in his other books too) but as you can see here, Knuffle Bunny makes an appearance in I Will Take a Nap! Despite the lack of words, this wonderfully imaginative tale has beautiful cadence and an ending that resonates. I didn't love this one as much as Have You Seen My Dragon. The shapes theme didn't feel as natural a fit for the story as counting did in Have You Seen My Dragon. Apart from the somewhat forced insertion of shapes into the story, I did love the illustrations, which are both bold (in line, not in color) and whimsical. 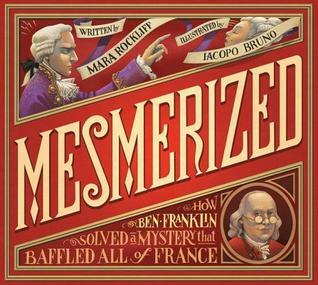 Lots of fun new things to learn in this book, like how the word mesmerized came from Dr. Franz Anton Mesmer, who thought he had the power to heal patients with invisible forces. Also, that the placebo effect and blind studies can be attributed to Ben Franklin's testing of Dr. Mesmer's "powers" by blindfolding patients. History indeed does not have to be boring. Enjoy Glory B! I really loved that title. I think Pool looks so intriguing and can't wait to find it. 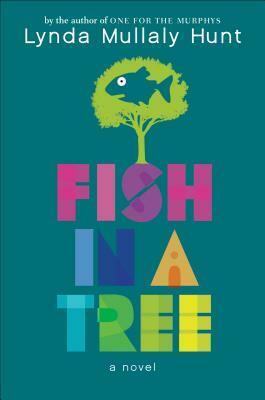 I have been saving Fish in a Tree for my first "finish a book in a day" summer read! Just 2 more weeks . 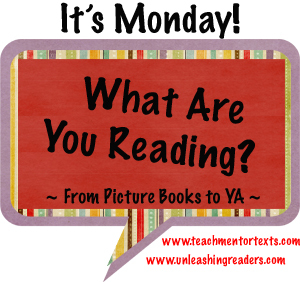 . . Lots of wonderful reading for you! Great bunch of books. You make me want to visit the Duluth Public Library's children's room to find some of these picture book gems. I tend to concentrate on middle grade and YA. You can come see my week here. Happy reading! 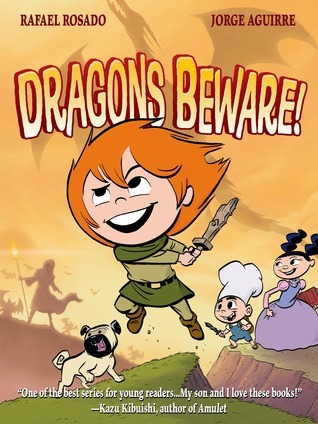 My library must agree with you about Dragons Beware because they still haven't purchased it for the library! I was quite surprised to see Knuffle Bunny in this E&P! I could not stop laughing at the end, just too silly. I have Glory Be in my summer pile. Maybe in July I'll get to it. I'm glad to hear you enjoyed the audio of Challenger Deep. My library has it, and I debated whether to listen to it, but finally decided to read the novel on my ereader. Good to hear the audiobook is worthwhile too! 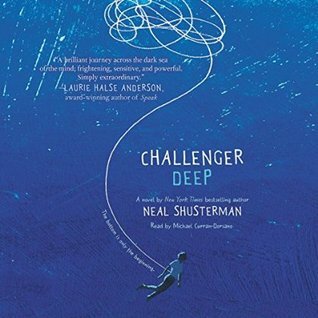 I'm really interested in Challenger Deep. It seems like something we should all read to try to understand. Will also look for In A Village By The Sea and Mesmerized-lots lately about Ben Franklin! I enjoyed Fish In A Tree very much, and also just enjoy hearing Lyndy Mullaly Hunt present, too. Thanks for all these, Beth. I really want to read Fish in a Tree, but I never read the first book. Does it stand alone? You have so many lovely titles, I don't know where to begin adding. I enjoyed Fish In a Tree, but liked One For the Murphy's better. I'm looking forward to I Will Take a Nap. 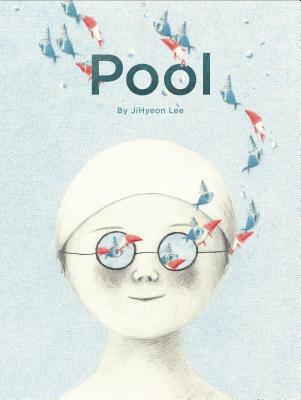 The cover of Pool looks lovely. 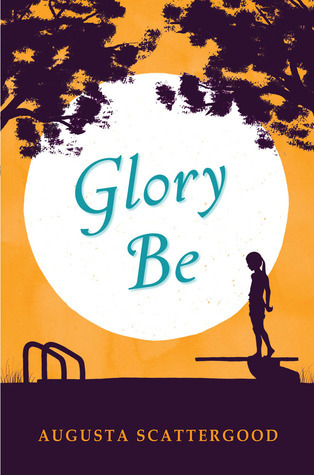 Glory B is on my to read list - hopefully for the summer. I hope you enjoy Roller Girl. Is that a new Elephant & Piggie?? 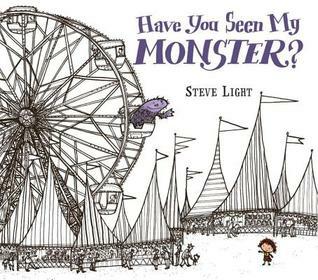 I agree with you about Have You Seen My Monster. Wasn't as charming or fresh to me as the first book, though I still enjoyed the illustrations. I'm eager to read Pool. I too want to be a Mr. Daniels for my students. I loved Fish in a Tree along with Glory Be. 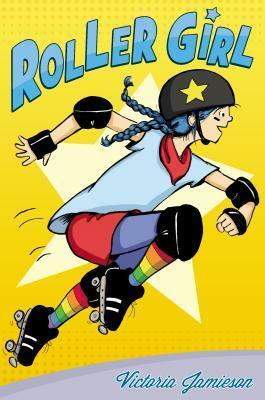 I am curious about your response to Roller Girl. I adored it and have been to see two Roller Derby bouts this summer. 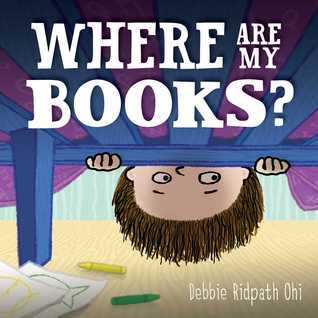 I'm looking forward to Where are my Books?